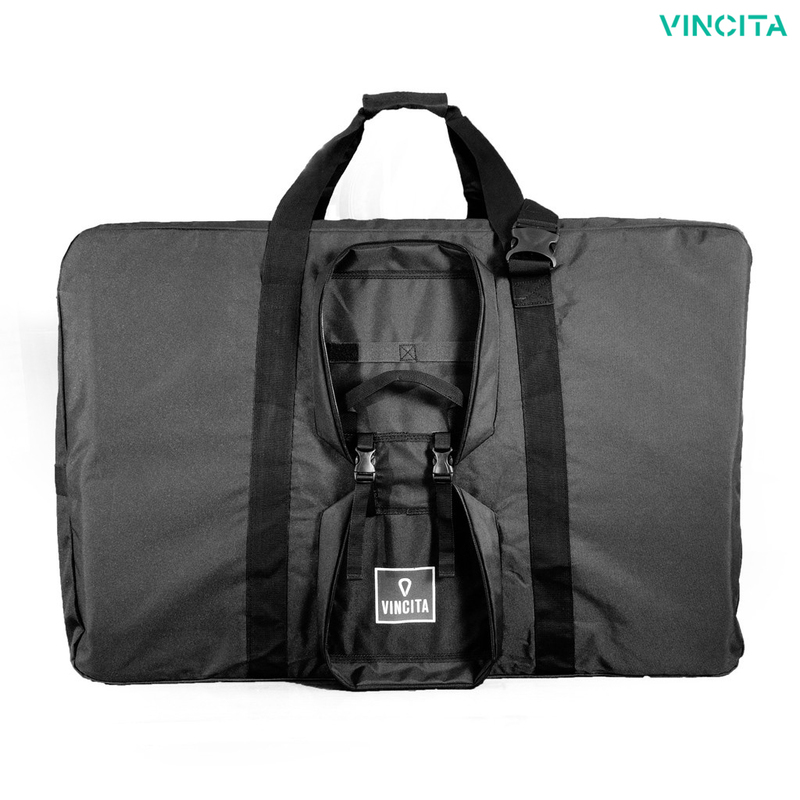 Vincita B131S Transport Bag for Folding Bike - 16"
This convenient light-weight bag is made for 16 inch folding bike. Ideal for getaway trips as the size is suitable for passenger car or train transportation. The fabric prevents dust and moisture when your bike is not in use. Also comes with shoulder straps. One feature that makes this bag special than other simple transport bags, it is foldable and can be attached under your saddle. Will a birdy with rear rack fit in this bag?